Ultrasound uses high-frequency sound waves through vibration to transmit thermal effects through the body’s tissues. To avoid the risk of burns to the underlying tissue, the treatment head is kept in motion throughout the treatment. According to Dr. Turchin, M.A., D.C., because ultrasound is a form of heat therapy, it does not regenerate tissue or block pain like a cold laser can. It can soften tight connective tissues, but does not promote healing. Ultrasound units are designed to temporarily block pain and reduce inflammation. According to a study found here, laser treatment is more effective than ultrasound on wound healing. Cold laser (low level laser) is a non-invasive treatment which uses a non-thermal infrared light to reduce inflammation, increase joint mobility, stimulate healing and decrease both short and long term pain. 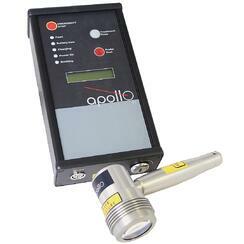 Cold laser is used extensively for injury, pain management and musculoskeletal problems. Another study found here, concluded that low-level laser therapy has shown significant results in reduction of pain and improving function in subjects with chronic plantar fasciitis and is more effective than ultrasound therapy with exercises on chronic plantar fasciitis. 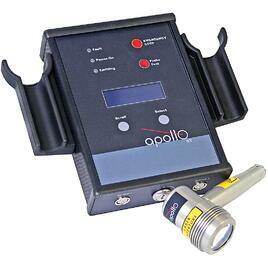 Cold laser therapy stimulates the cells that repair tissues, reduces inflammation and pain. In our free eBook, Dr. Turchin explains that cells that lack energy are unable to participate in the healing process until enough ATP has been produced. Low level laser therapy stimulates the mitochondria of the cell, the cell engine, to produce ATP at higher rates. This stimulates the damaged muscles, ligaments, nerves, bones, joints and soft tissue to re-grow and heal injured cells and tissues. One of the biggest differences between cold laser and ultrasound therapy is that ultrasound creates heat and cold laser does not. Because of this, ultrasound has more limits and contradictions of how it can be used. Cold laser (low level laser) therapy is fast, painless and more effective for long-term results on injuries and conditions than ultrasound. 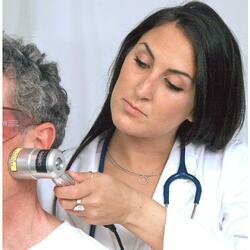 • "What are the benefits of Laser Therapy?" eBook by Dr, Turchin, M.A., D.C.